Having an education reporter for a wife, Lewis McNeel rarely needs to comb through niche.com or GoodSchools.org to learn more about his local options. In fact, having an education reporter for a wife, if either of those sites were ever discovered in his browser history, he would likely be subjected to an exhausting treatise on the limitations of ratings sites and how they drive segregation. So he stays off the internet. However, he does not simply hand his wife the reigns and check out. He treats her reporting exactly like you do—information to consider while making educational decisions. With his wife. Who happens to be me. Because he knows that Bekah-the-mom and Bekah-the-reporter have much different levels of anxiety about most things (one deals in feelings and the other in facts), he sometimes has to come to Bekah-the-mom armed with information he learned from Bekah-the-reporter. “But you said parents loved this school,” he might say. “But you said these schools aren’t performing as hoped,” he might say. He also has to see things for himself so that he can be fully invested in our kids’ education. Which is why he agreed to go to “Experience SAISD” last weekend. Normally, spending a Saturday and an expo hall with 5,000 other people (and our kids…at nap time) sounds like my husband’s idea of a living hell. But, in the name of school research, he was all in. The expo of school choice options lasted from 10-2, and showcased every application-taking entity within SAISD. At the end, you could apply there on site with a navigator, a la Obamacare. When we pulled into the parking lot at the Freeman Coliseum at around 12:30pm, our eyes widened. “So many cars!” I said. Entering the expo half-excited, half-terrified. Also, my two-year-old is wearing a Darth Vader costume. “Maybe there’s another event in another part of the building,” he said. All that to say, SAISD has gotten into the school choice game and it seems to be paying off. And isn’t that the thing about parenting? I’m not sure any of us know for certain that dual language, Montessori, or International Baccalaureate is the absolute superior way to educate children. We’re all just doing the best with the information we have. Parents often have no idea if what we’re doing is the right thing for our kids, much less anyone else’s. Much less society as a whole. We spent our time at the expo looking through the booths for the Diverse by Design schools. These schools are socioeconomically integrated through a carefully controlled lottery system to keep parents like me from overrunning schools that offer all of those shiny, alternative learning philosophies we love so much. But, like I said, all of those models are, for the individual parent, somewhat experimental. We don’t know which one will fit our child the best. 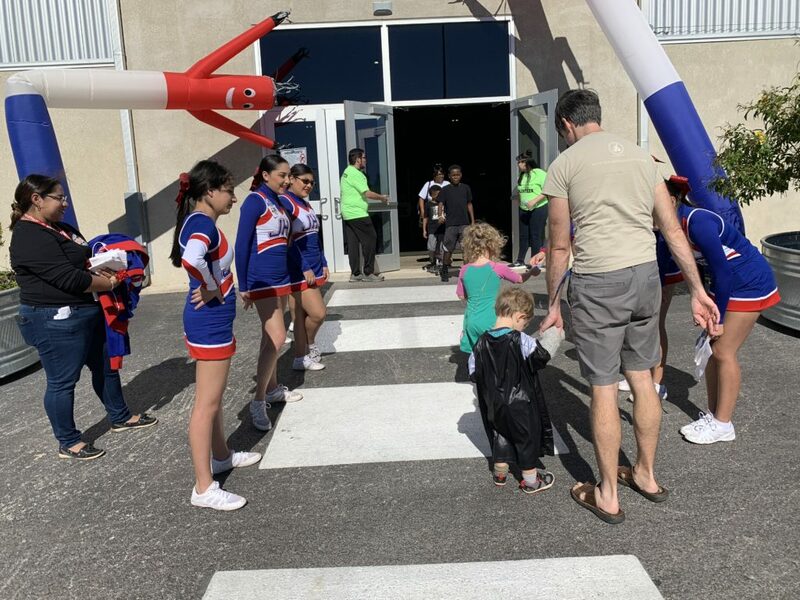 Despite the trial-and-error approach to finding a right fit school, and despite the sort of science-fair look of the whole expo itself, integration is the element of school choice that is not experimental for my kids. Researchers say that integration has these great academic effects. But even if it didn’t, at least for kids who could shell themselves off in privileged bubbles, it’s part of learning to live in the world the right way—with empathy and equity. As a family with lots of privilege, we can say that IB or Montessori “didn’t work for us.” But we really can’t say that about integration. For families of color, or those living in poverty, the choice may look different. They are justified in wondering if an integrated school will work for their kids, or if power and privilege will just re-organize inside. They may prefer a private, racially homogenous school with excellent academics where their kids see dozens of leaders who look like them. They may prefer fighting to save a school where their family has a multi-generational legacy. All of those efforts deserve our support, but the equation looks different for white, middle class kids. We don’t yet have a school model that isolates privilege without hoarding it. Oppression is a one-way street. Calling integration of any kind an “experiment” has become a sort of trigger for me, now that I’m about to have a kid who is involved in an integration effort. It’s the easiest word for journalists to run to when they are describing attempts to get rich and poor, white and minority kids into the same schools. But it’s a loaded word. Flexible seating is an experiment. Integration is not. “Experiment” suggests that we don’t know what would happen in a situation where students of one race or class learn alongside students of another. Like the brown kids might spontaneously combust, or the white kids might shrivel up and die. It suggests that we don’t know whether students would benefit, despite what research shows us. It suggests that we don’t know whether schools would improve despite what school leaders are telling us. “Experiment” suggests that the two kinds of kids are fundamentally different, and mixing them could be a huge mistake. There is one experimental element to all of this: whether white and middle class families can be coaxed into overcoming their fear of the Race and Class Other enough to enroll in a school where their kid is not the outright majority, and whether we will play by the rules once enrolled. We, the middle class parents, are the unknown. We’re the ones who derailed busing. We’re the ones who fled the cities. We are the ones who internally segregate diverse schools, ensuring that our kids are in all the best classes, whether or not they’ve earned their way in. We are the gadflies around every administration, pressuring and threatening. But I’m not one of those parents, now that I’m enrolling in an integrated school…right? RIGHT?!? 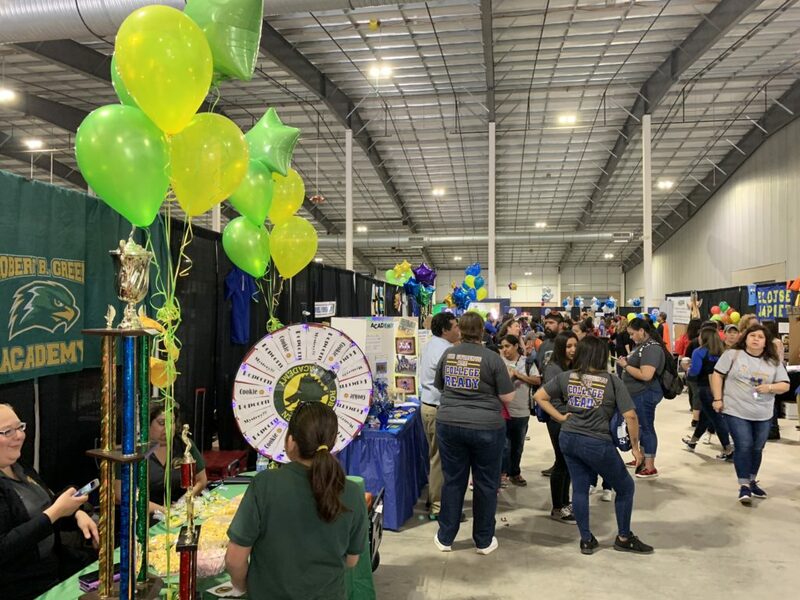 Looking around the expo, I struggled with another unknown: what would we have done if SAISD had not embraced Montessori, International Baccalaureate, and all the other models that impress us so? Would we have enrolled our kids in our neighborhood school anyway? Or stayed in our private school? What excuses would I have given, if SAISD’s choice program had not preemptively pulled the rug out from under me? I muse publicly on this to admit that I’m not coming to this conversation with any moral high ground. I’m honestly coming out of self-interest—not only do I love shiny alternative curriculums, but I truly believe that economically and racially diverse schools will benefit my kids. It’s not about choosing between them and everyone else. It’s about believing that they are just like everyone else. Different pedagogical models might be better for some kids than others, some schools might actually perform better than others, but learning and playing equitably alongside their peers of every color and class is not a question mark. It’s an unequivocal advantage. P.S. 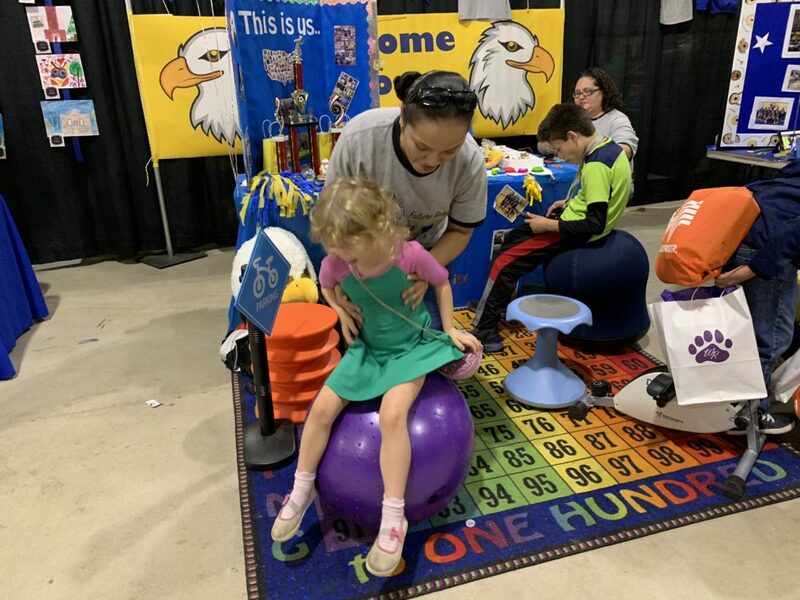 We left the expo in a whirlwind once our Darth-two-year-old was sufficiently over-interacted-with, and the four-year-old had melted down in front of two of her potential future principals. You’re so lucky to have us, SAISD. I attended the event last year and was so impressed at the huge number of families who were there. I was equally impressed by the faculty members I interacted with at each table. They all loved their schools and were proud of the programs. I told them I was there as a REALTOR so that I could learn about their schools and help parents understand the choices available to them. I still have a tote bag full of information from that gathering. And by the way, it was a cold, rainy Saturday last year but it didn’t appear that kept anyone away. More people need to give SAISD a chance – or at least listen to their stories. Thank you for sharing yours! Fascinating!! I did not know such events existed. Did I tell you I taught IB Theatre for two years at MVHS? Also, Glasgow is technically an IB/MYP school. Aw, now I want you to visit my school! It’s the biggest public middle school in the state of VA, and we have an amazing story! Does that bear any relevance to your reporting in SAISD? No? Ok. :/ Cannot BELIEVE Moira will be in kinder.